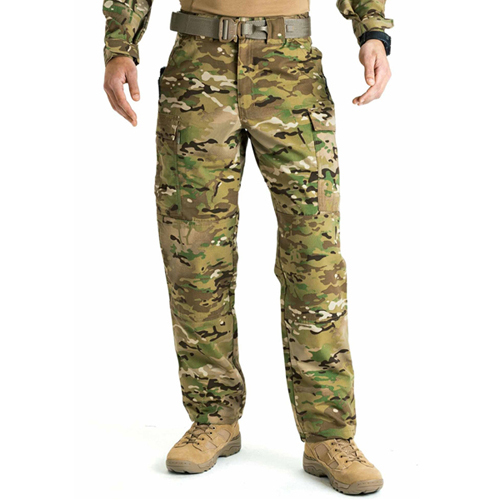 MultiCam TDU Pants provide superior utility in harsh outdoor environments. Made from durable, lightweight polyester/ cotton ripstop fabric, with a specially designed MultiCam camouflage pattern that reduces visibility, these pants feature a self- adjusting waistband, double- reinforced seat, and a Teflon finish. Secure seat pockets, cargo pockets with internal magazine compartments, and TacTec System - compatibility allow customizable storage for your tactical gear. Be unseen and be ready.